My school often hosts tour groups to observe our integration of 1:1 iPads. Many times, this tour group stops by my room. It is always interesting to me how different tour groups behave. Sometimes, they talk to students at stations, sometimes they come up and talk to me, and other times they observe. Some want to see creations students have made on their own and some times groups are very app oriented and want to know what we use in the class. All groups are different, all teachers are different. Why? teachers are in different places. There is not a one-size-fits-all for our students and there is not for us. Teachers must act upon what is brought into their classrooms. What do students need that year? that month? that day? I believe that often the pendulum swings too far one way and then too far the other way. Educators want to “solve” the problems of our students. We want a program, a kit, or a resource that works. The sad truth? There is not one answer for everything. There is no quick fix. All learners are different. All kids are different. Drill-N-Kill activities are not always bad. Some groups come in and they want to see all of the apps that drill students with content. Is this what we do all day? No. Is drill-n-kill in moderation good? Yes. There is a time and place to create and there is a time and place for students to go through “old school sweat” memorization and drills. Want the good news? The iPad and internet offer a plethera of appropriate applications and resources for students to learn and/ or memorize facts and concepts. Below, I have listed 5 of my favorite “Drill-N-Kill” applications or programs. Not all are free and not all are apps, but all can be accessed on an Apple iPad. Have any other programs you suggest? Let me know in the comment box below! At www.quizlet.com your student can learn any vocabulary word. You input words and definitions and students can review with virtual flashcards or play optional games. It’s FREE! Moby Max targets students’ needs in multiple subjects. When a student begins Moby Max they take an ELA, Math, or Math Fact Pretest. 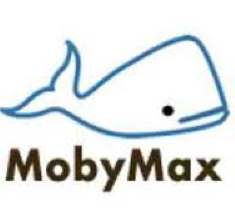 Moby Max then places the students at a grade level and gives them personalized lessons geared to what that child needs to learn. You can watch students’ progress through a teacher’s dashboard, and see how many lessons they are completing in class and at home. This program is not free. Itooch programs are perfect for Common Core Curriculum. This app offers drill-n-kill content in ELA, Science, and Math. This app offers curriculum in multiple grade levels including middle school grades. Most of the ELA concepts I teach are also found on the 5th grade ELA app even though I teach 4th grade. I definitely recommend downloading this app. It is not free, but at times the app is offered for free. You can also try the lite version. 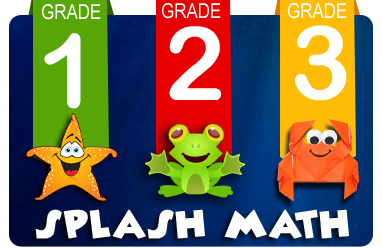 Splash Math offers math curriculum for grades one through five. 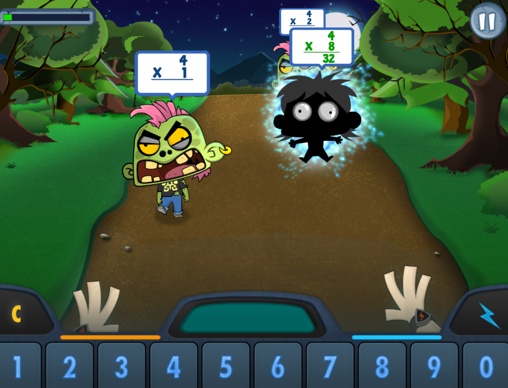 Students can review math concepts and work on specific skills within the app.